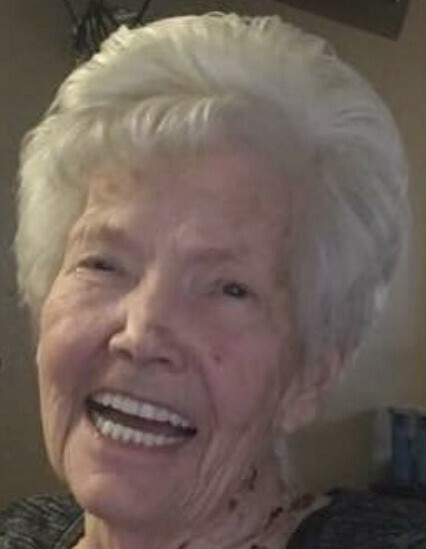 Nancy Lee Lewis passed away on Saturday December 1, 2018, in the arms of her loving husband, surrounded by her family. She was born on October 10, 1932, to Frank William Mangum and Ina Margaret Markham Mangum in Provo, UT. She married her high school sweetheart Radley M Lewis on August 24, 1950, in the Logan LDS Temple. They were married for 68 years. Nancy was a member of The Church of Jesus Christ of Latter-day Saints and served in many callings throughout her life. She had a strong, unwavering testimony of the gospel and will always be a tremendous example to her family and everyone that knew her. She will be long remembered for her giving and outgoing personality. Her warm, beautiful and contagious smile, along with her ability to connect with people through music and creative talents. Nancy is survived by her loving husband, Radley M Lewis; her six children Randy W (Wanda) Lewis, Lora Lewis, Michael V (Kap) Lewis, Trish (Brent) Jacobson, Sherrie (Bryan) Floyd, Jeff Lewis; 35 grandchildren and 51 great-grandchildren; one sister, Mary Squire. She was preceded in death by her parents, her sisters Janice Bluth, DeeAnna Harris and her brother, Fredrick Anthony (Tony) Mangum. Funeral services will be held on Saturday, December 8, 2018, at 11:00 am at Russon Mortuary, 1941 N Main Street, Farmington, UT. Friends may visit with family on Saturday morning before the funeral from 9:30 am - 10:30 am. Interment will be at the Heber Valley Cemetery; 680 N 550 E Heber City, UT.